Create your dream website in just a few steps! Select your desired design and adapt it to your individual requirements. Decide on a website layout and load it with your text and images. Publish your website using your preferred domain. Your new website is just a few clicks away. Simply drag & drop the various content items to insert or create them on the page. And it's even easier with our choice of designs. Select the design, customise and publish. Web design is this easy! The Designer from Hoststar offers numerous features with which you create your very own one-of-a-kind website. 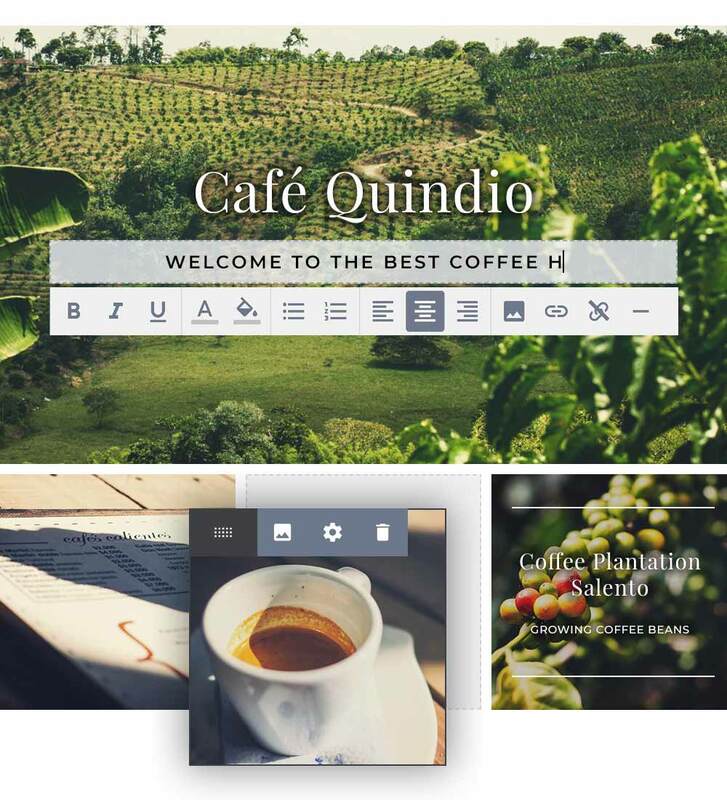 Thanks to the intuitive and easy to use editor, you can design your website according to your own vision. Everything you need is being provided by our Designer! Simply sell your products with the integrated online shop. Your homepage will automatically be displayed in the best possible way. 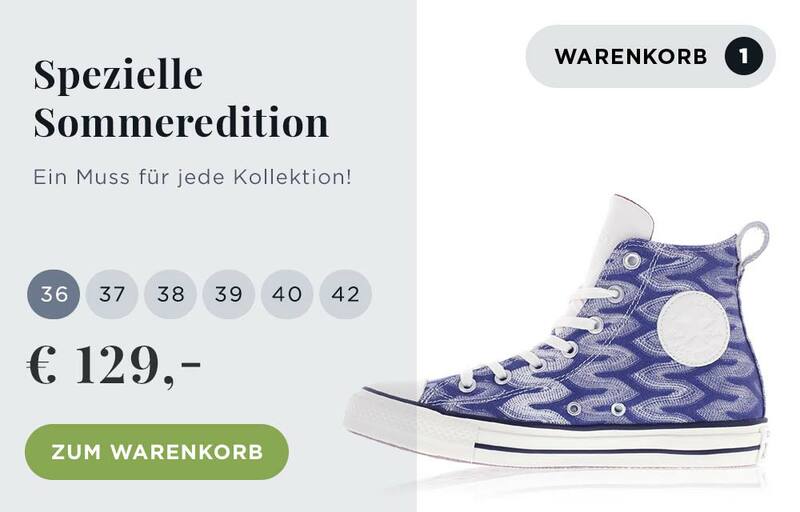 Use our service «Pictures» to find fitting images for your websites. Create multilingual websites with 5, 10 or any amount of languages. Choose from over 150 design templates. Create a blog in just a few steps. Use different social media buttons to connect with the world! Benefit from maximum security with FreeSSL at no charge. Entry, Biz or Plus – your Designer package is full of unique features. We offer dozens of attractive, quality designs in various categories for your website. No matter whether you prefer traditional or modern, round or square, light or dark – we have the right design for you. Creating the content for your website is almost easier than choosing the design. Drag & drop images and other multimedia content to the desired location on your web pages and customise text and forms however you want. It couldn't be simpler or more intuitive, even for beginners! Is your photo not quite perfected yet? No problem! Designer from Hoststar provides a fully integrated, intuitive piece of software for image editing. Optimise your pictures directly on your website – without any technical background. More and more people are visiting websites from smartphones and tablets. Designer gives you the right tools for this. All designs are 100 percent compatible with mobile devices and are displayed on these devices just as well as they would on a PC or notebook. The Designer tool allows you to customise your newly created website to suit your personal preferences. Use the Drag & Drop function to move design elements such as text and images to the desired location. Even tables, buttons, colours and images can be easily customised in the Designer without any programming knowledge. We offer a very large selection of different designs for your website and the number is constantly increasing. A convenient solution: Our templates are suitable for every industry. Whether you are looking for a simple solution for your travel blog or want to set up a professional online shop, you are in good hands with us. In fact, we offer the best solution for every need! This is not only important for user friendliness, but also for search engine optimisation. More and more people are visiting websites from smartphones and tablets, which is why mobile-optimised websites rank better on Google. Our Designer tool ensures that you are well-equipped for this! Improve the quality of your pictures without any extra software. Use our image editor to enhance your images with special effects. Rotate, crop or flip your pictures however you want. The image editor in Designer lets you edit images exactly how you want. Essential for perfect page speed: With our fully integrated image editing, you can compress the images directly in the image editor and spare yourself the hassle of working with a second program. Compressed images are extremely important for the loading time of your website – another ranking factor for Google. A tasteful website needs powerful images. Choose from millions of pictures to create your very own visual world. You're sure to find the desired subject in our integrated image database. Our Designer tool allows you to create your website in several languages. With only minimal additional effort, you can reach a wider audience – from all over the world, if you want. Specify the desired languages, define the appearance of the language selection option and insert your content. The Designer tool will take care of the rest. Create your own personal contact form in just a few steps. Inquiries are sent to you directly by email. The contact form ensures you never miss any important inquiries and can deal with them quickly and efficiently. Social media integration facilitates a better dialogue with your visitors. Links to social medial platforms such as Facebook, Twitter, Instagram and Google+. Feed your latest tweets into your pages, add 'Like' buttons or tweet your articles. Would you like a simple online shop? With the E-Commerce module, you can add an online shop to your website in just a few clicks. Add your products and start selling online. Your customers can pay via credit card, PayPal or wire transfer. You can also easily integrate a blog into your website with the Designer tool. You can also use your smartphone to compose your blog posts easily and conveniently on the go. This allows you to record flashes of inspiration immediately as blog drafts. Creating my own website - where do I start? Our web hosting packages give you the tools and storage space you need to create and run your own website and email accounts. You also need a name (domain), such as www.hoststar.at, so that people can visit your website. When ordering your web hosting package, you can enter possible domain names and have the domain checker verify whether they are still available. If the domain is available, we can register it for you. If you are ready to get started straight away, you can place your order now. Your web hosting package includes additional services such as cloud storage, SSL certificates and more. My Panel is your single management interface – one login for everything. Designer is a website builder and is included in all of our web hosting packages. Designer makes it easy to create your website - without any previous knowledge of web design or programming. You can request a trial version of Designer by clicking on the «Try now» button on the «Website builder» page. You will then receive an email with the login details for the trial version and you’re ready to go. The email also contains a link for purchasing a web hosting package and for upgrading the trial version to the full version of Designer. This way you can take your first steps in the trial version and continue where you left off in the full version. A web hosting also allows you to use other software like WordPress, Joomla or Prestashop to build a website or an online shop. These programs and many more can be installed directly via your “My Panel” management interface, under “Software”. You can log in via FTP to access the storage space for your web hosting. If you already have a finished website or are creating one yourself, you can upload it via FTP or write it yourself. How do I create my own website with Designer? You can access Designer either by requesting a trial version or by purchasing a web hosting package. With a test version, you log into the Designer login page with the login details sent to you by email. If you have web hosting, you log on to My Panel at https://my.hoststar.at, navigate to the "Designer" menu and select "Login". Designer includes a whole range of instructions and guides. We recommend starting with the "Getting Started in Designer" guide. The first time you use Designer, you will see a selection of various design templates. Your choice of design template defines the general structure of your website: Where do the page navigation, logo and company name go and what template-specific content is available for the landing page of your website? 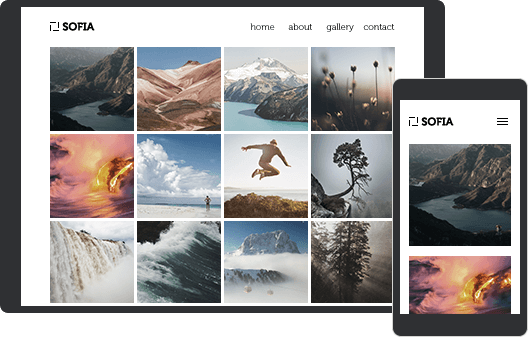 Elements for your landing page can include full screen images, image tiles in various sizes, slideshows with text and buttons and so on. Choose a design template that suits your needs – you can switch back to another template at any time. You can then add and manage your text content, images, videos, buttons, links, etc. Background colours, headers, footers, and fonts can all be customised in Designer to match your logo, for example. The colours should be selected for a harmonious look. Colour palette generators such as Paletton can help you with this. Which design template should I use? The right design is an important part of your web presence. Certain designs are better suited to certain content and target groups. For example, if you want to include a lot of image content on your website, it is best to choose a design that shows off your images well. If your website is more text-heavy, a simpler design is probably a better choice. You can test your favourite design templates by applying them and, if necessary, adding some content to judge their effect. Does your chosen design template include certain elements that you don’t want to use? Not to worry: All template-specific elements can be shown or hidden with a slider. How do I add content such as text and images to my website? Drag and drop your content to the appropriate location; you can always reposition or remove it again at any time. If you are adding long passages of text, split it into several text blocks or divide it into several columns. 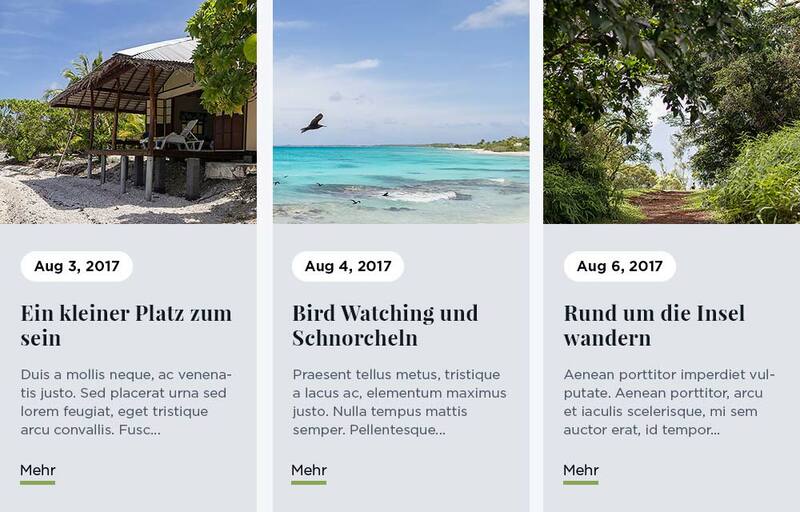 Up to four content elements can be placed horizontally next to each other. Where possible, insert subheadings. Make sure to insert exactly one heading 1 (H1) per page. You can structure further headings and subheadings (H2-H4) hierarchically. You can also add images and graphics to your text to give it structure. A number of scaling and positioning options are available for embedded images. You can also use the integrated image editor to perfectly adjust the image – add image effects and text, set sizes right down to the pixel, apply various filters and much more. Where can I find good/free pictures for my website? When adding images and graphics, please make sure that you have the rights to use them. Never simply copy images you find on the internet and put them on your website. The most authentic photos are those that represent you or your organisation. Stock photos can be useful as secondary images such as background images or for purposes of general illustration. Hoststar offers a 15% discount on Fotolia photos. These stock photos can be conveniently searched for and purchased via My Panel under "Extras" under "Pictures". How do I customize colours and fonts? Colour and font styles can be managed in Designer under "Pages and styles". You can use spot colours, gradients or images as backgrounds. Fonts can be defined according to their type: Normal text, headings, navigation and link colours and so on. The colours should be selected for a harmonious look. 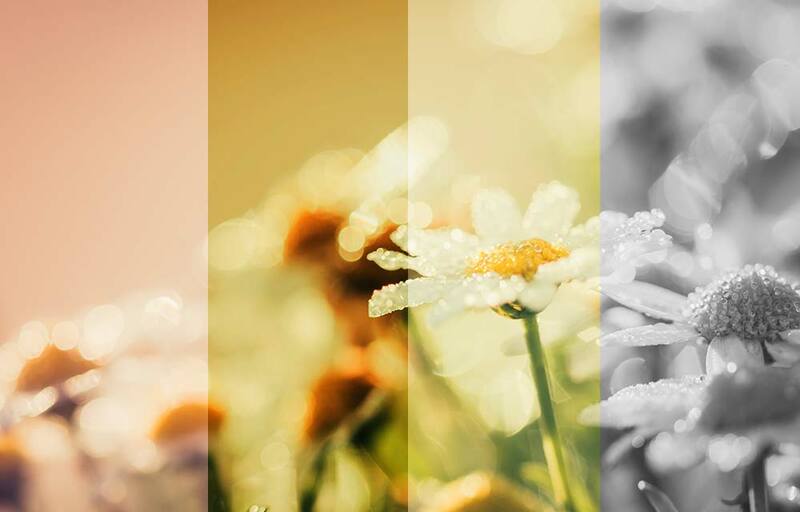 Colour palette generators such as Paletton can help you with this. How do I create a blog or online shop? You can use a blog to create and publish blog posts. For example, blogs can serve as news sections for a company or club website, as a travel diary, for event announcements and much more. With a StarBiz or StarPlus subscription you also have the option to integrate an online shop into your website. Add products, enter payment and shipping methods and start selling! I want my website to be found by search engines (e.g. Google) - what do I need to do? Search engine optimization (SEO) helps search engines to better analyse your website and ideally gives you better rankings in search results. Each page within your website should have a title and a description. It is recommended to integrate your company, club or domain name at the end of each title. You can use a separator so it stands out. A title could look like this, for example: “Buy coffee capsules at a bargain price | Example Company”. The description should briefly outline the page content, arouse curiosity and ideally motivate the search engine users to open your website. Use “Edit Page Settings” in Designer to define the titles and descriptions of the individual pages. Ideally, these two attributes should be edited for the respective page of the website so that each page has unique titles and descriptions. Now that your website is optimised for search engines, it must be registered with the corresponding search engine (using their webmaster tools) so that it actually appears in search results. Please refer to the instructions "Verification with Google webmaster tools". It can take a few days before your website actually appears in the search results of the respective search engine after registering it with the webmaster tools. Is the Designer trial version different from the full version? No. The trial version corresponds to a DesignerEntry. Depending on the subscription, some additional functions are available in Designer. Here you can compare the different Designer packages.